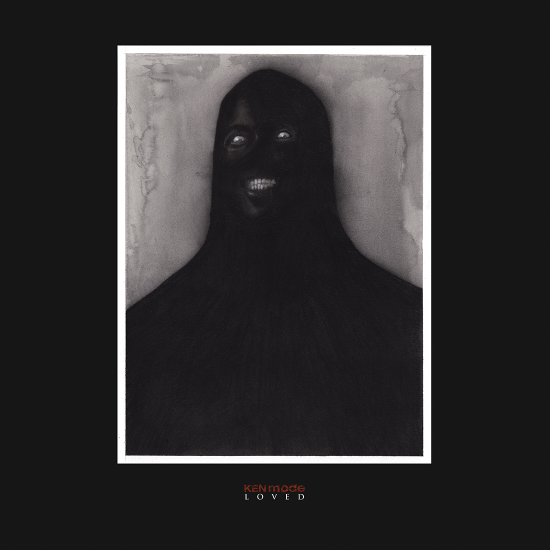 The Sludgelord: ALBUM REVIEW: KEN mode, "Loved"
Few records will match the sheer rage and intensity of “Loved” this year. Almost 20 years into their existence, KEN mode have released their finest work that sets the bar for riff-heavy noise rock in 2018. Winnipeg trio KEN mode make a welcome return with new LP “Loved”. It is by far the nastiest entry in their impressive body of work and all the better for it. The album screams into life with “Doesn’t Feel Pain Like He Should”, a feral burst of sludged up noise rock that sounds like Unsane plugged into the mains. KEN mode have always dealt in a potent blend of churning low-end rumble, razor wire guitar lines and frantic vocals but they have never sounded as livid and visceral as they do on “Loved”. “The Illusion Of Dignity” continues the carnage, this time raising the intensity levels with furious squalls of saxophone at the track’s climax. Somehow the band manage to maintain this frightening level of ferocity through “Not Soulmates” and “Very Small Men” while introducing some touches of Botch style math rock into the fray. “This Is A Love Test” provides some welcome respite with passages of quiet restrained menace bolstered by more saxophone, this time providing unsettling melody. These periods of calm only serve to emphasise the abrasive attack when the band kick back into high gear. After eight tracks of seething rage, KEN mode somehow manage to save their hardest hitting track for last. “No Gentle Art” is a masterclass in slow-burn build and release dynamics, rising from a barely audible bass pulse and muttered threats into an utterly devastating one chord onslaught riddled with screams, feedback and wild saxophone noise. The music is the perfect match for Jesse Matthewson’s repeated howls of “STOP GIVING ME HOPE”, the sound of all dreams being ground into dust.